Geoff North focuses his practice on complex commercial and bankruptcy litigation. He has represented clients in a wide range of complex commercial disputes, including business tort, breach of contract, creditors' rights and securities matters. Geoff also has experience in white collar criminal matters. 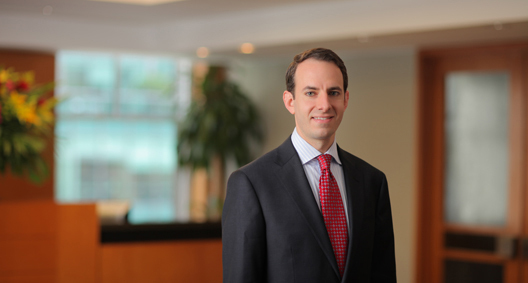 He regularly appears in federal and state courts and has significant experience in arbitrations before the American Arbitration Association and Financial Industry Regulatory Authority (FINRA) panels. Member of the litigation team representing the SIPA Trustee in the liquidation of Bernard L. Madoff Investment Securities LLC. He is involved with the global investigation of the Madoff Ponzi scheme—the largest financial fraud in history—and related litigation against international financial institutions, at both trial and appellate levels, to recover assets for the BLMIS Customer Fund. Represented an international financial institution in an employment dispute before a FINRA panel, resulting in the complete denial of a former high-level employee's multimillion-dollar claim and an award of costs in favor of the financial institution. Represented a hedge fund in a dispute involving European insurance businesses, resulting in a seven-figure arbitration award in favor of the hedge fund. Represented a marine contractor in a breach of contract action before an American Arbitration Association panel, resulting in a multimillion-dollar award for the marine contractor and a complete denial of the adversary's counterclaims. Represented a telecommunications provider in several actions seeking injunctive relief against illegal telemarketers, resulting in the entry of injunctions against the telemarketers.